I recently played in a session where Gust of Wind was used in a way I had not seen before, and I wanted to see if my gut instinct on whether that was actually how Gust works. As a bonus action, you can change the line's direction. I had been operating under the impression that you could only change the direction the wind emanates from you (the caster). I.E. move the wind from coming out your front to coming out your back. What are legal changes to Gust of Wind I can make using the bonus action clause? You choose any direction emanating from you. The text of the spell establishes that the line emanates from you in a certain direction and that's the direction the wind blows (emphasis mine). You can use a bonus action to change that direction. The line still emanates from you but in a different direction, and that becomes the new direction the wind blows in. Creatures pushed by the wind are always pushed along that line in a direction away from you following the line. The perpendicular example in your diagram is not a valid use of the spell. A creature can only be pushed parallel to the direction of the line. I don't think it could be much more explicit. While sailing can Gust of Wind be used to speed up your boat? No size limitation for Gust of Wind? How long does the pushback function of Gust of Wind last? Have I been nerfed by the DM? Can you react to your own spell? 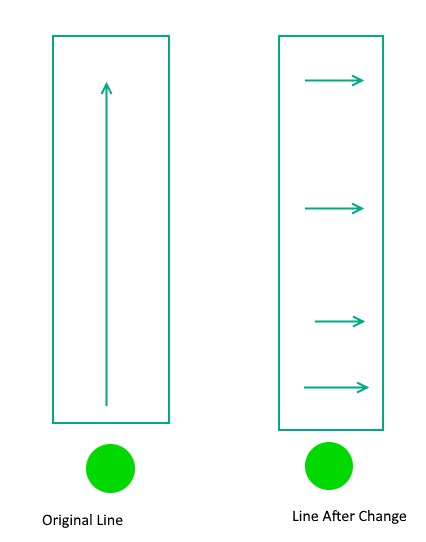 If I cast Gust of Wind and then move, what happens to the line of wind?